In this moment in American history I find myself on a daily - sometimes hourly basis - losing my mind while I scroll through my twitter feed. Sure, I could respond to the horrifying tweets I see, but I simply have too much going through my head that it would take about 140 of those 140 character tweets to get my point out. 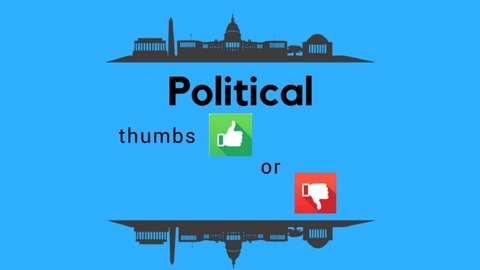 That's where Political Thumbs Up or Down comes in. This is a podcast where two buddies -- Dennis and Sergio-- try to stay sane by discussing and digesting President Donald Trump's tweets together because, well, those tweets are official statements from the president. 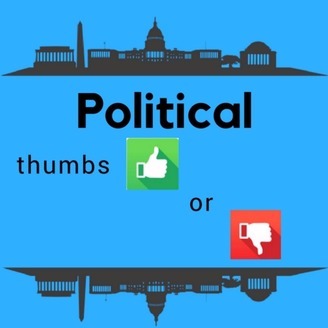 We will be judging the tweets on a basic thumbs up or thumbs down scale and even maybe a sideways thumb, then talk about why we gave the ratings we did. We will be coming to our conclusions by putting the tweets against questions such as: Are there any falsehoods to his statements? Are they riddled with logical fallacies? Is he making any false equivalencies? Is he missing the larger point? And so on. Not only will we be discussing his tweets but we will also be talking about any major breaking news. So join us every Tuesday, Thursday, and Sunday as we rant and rave through the madness.